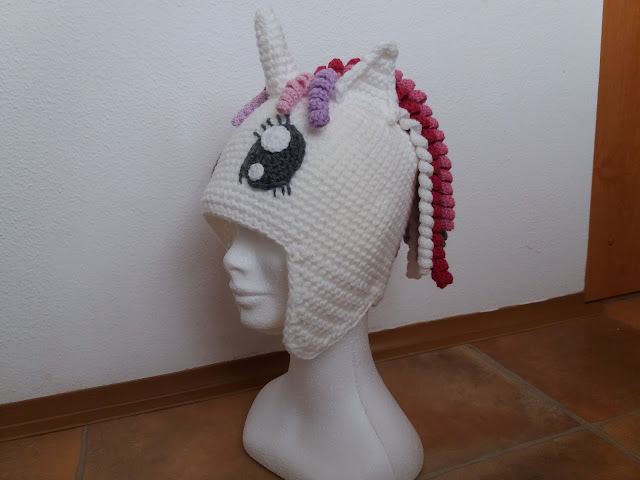 Today I prepared pattern for “My Little Pony” hat. The pattern is very easy to follow and suitable for beginners as well. 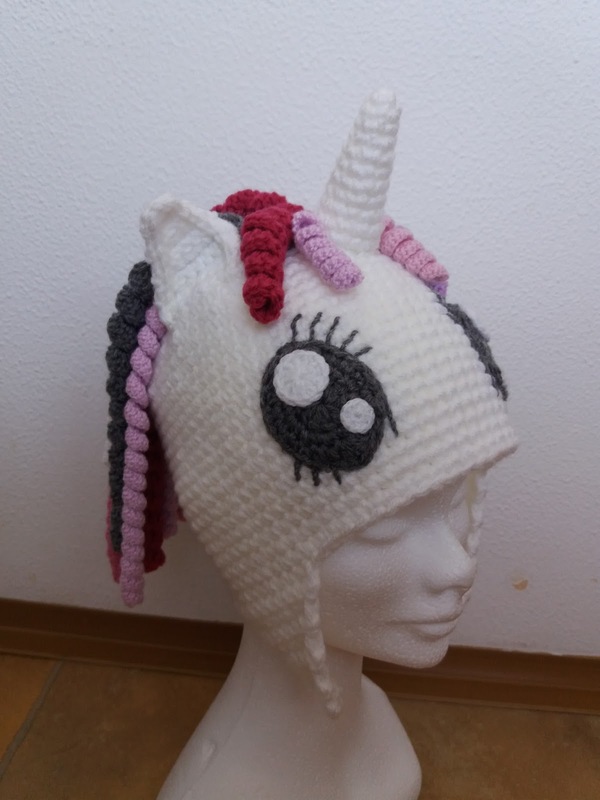 It’s not very time consuming, so you can still manage to make the hat before Christmas. There are instructions for all sizes from babies to adult. 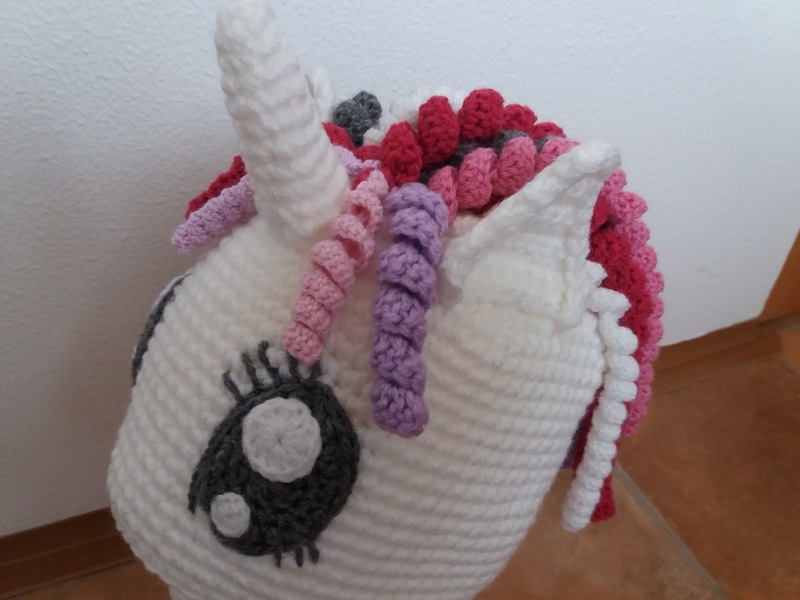 You can use any material you desire (even leftovers), although I suggest to use soft acrylic for the hair/curls. 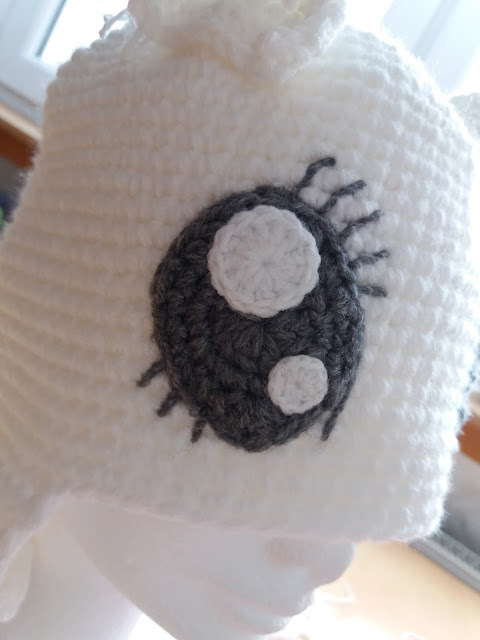 I used 150g(50g white) of soft acrylic yarn. 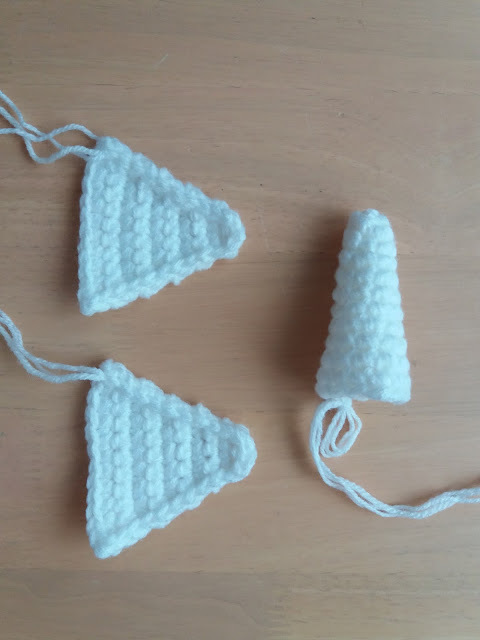 (Any yarn would be just fine, as long as it suites your purposes) H/5mm hook, /2mm hook, E/4mm hook, tapestry needle. The hat can have any size you desire. The important thing is to measure your child’s head around and than divide it by number 3,14. 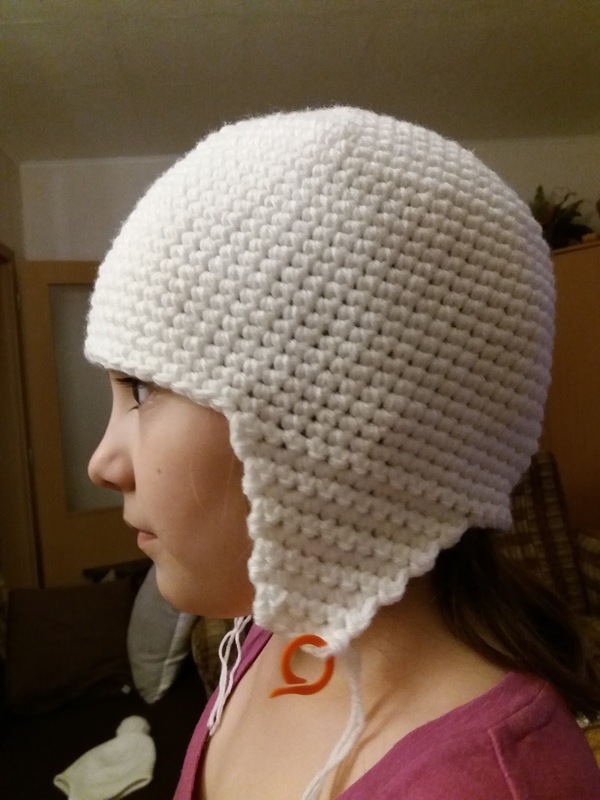 (Example: My little girl’s head is measuring cca 50cm/20” around. 50cm/20” divided by number 3,14 is cca 16cm/6,4”. That is the point when you should stop adding sc st. For the hat on the picture it was round 11.) See picture below. 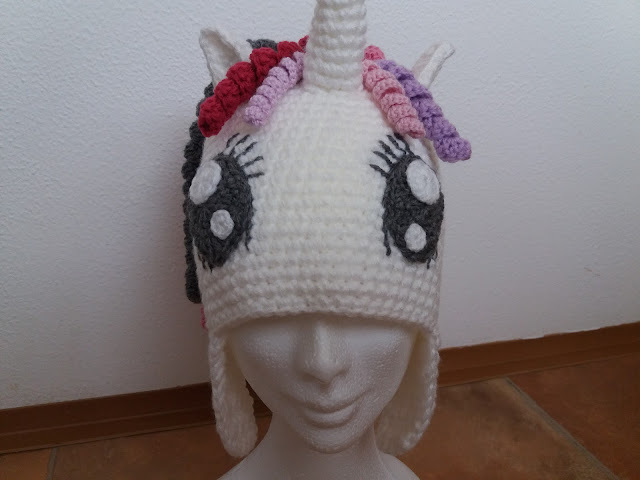 Start at the top of the hat. 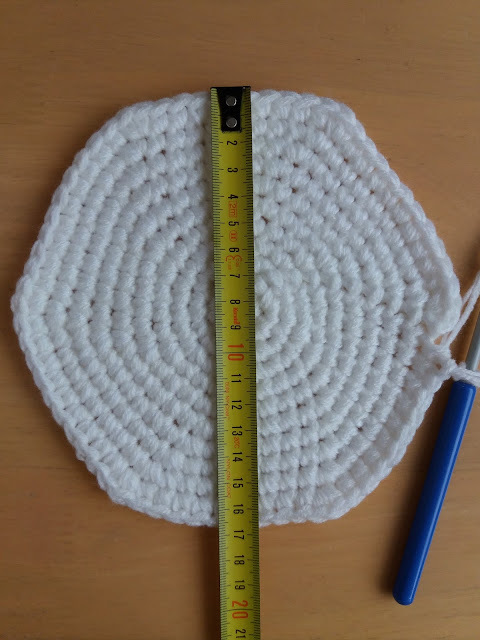 It is worked in circular crochet method, beginning at centre of the hat. Slst. join at end of each round. Don’t turn, but continue in same direction. 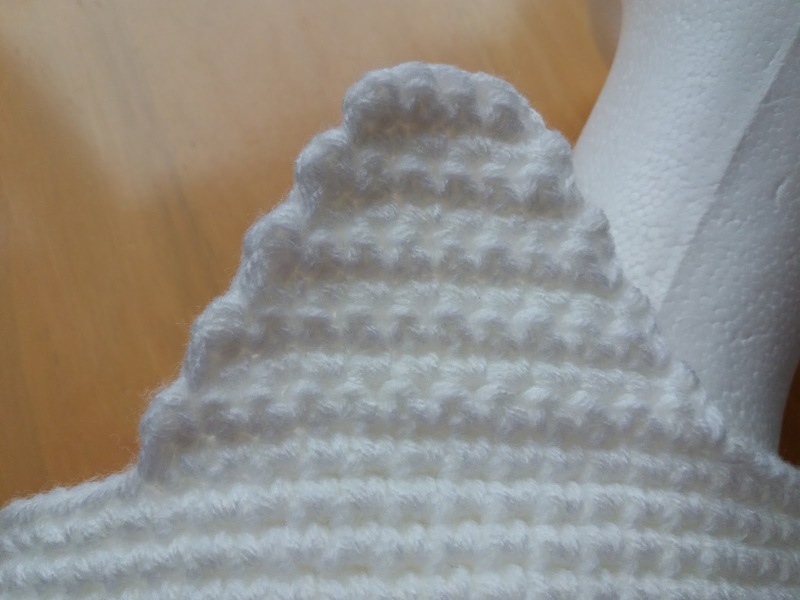 Ear flaps: work back and forth from now on, turn on the end of each row. Row 6: Ch1, 2sctog., sc in next sc from prev. rd., 2sctog. (3sc). Fasten of. 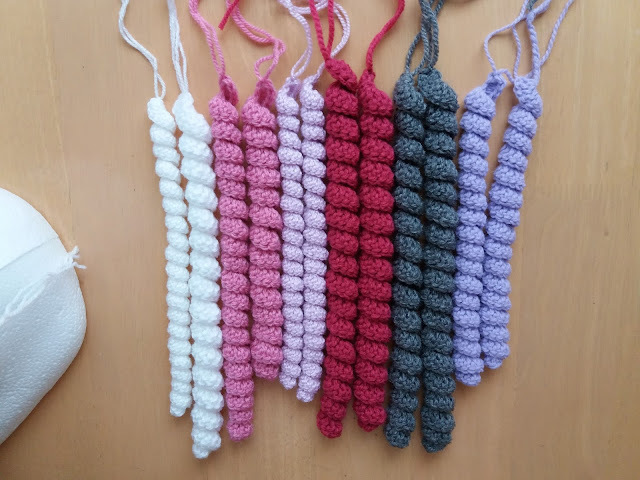 Skip next 15sc from row 29, join the yarn and repeat row 1-6. Note!!! Eyes, eye dots and horn are worked in circular crochet method as well. Use H/5mm hook, start with MR.
-hdc in each of next 2sc from prev. rd. -2dc in next sc from prev. rd. -dc in next sc from prev. rd. -sc in each of next 4sc from prev. rd. -sc in each of next 2sc from prev. rd. 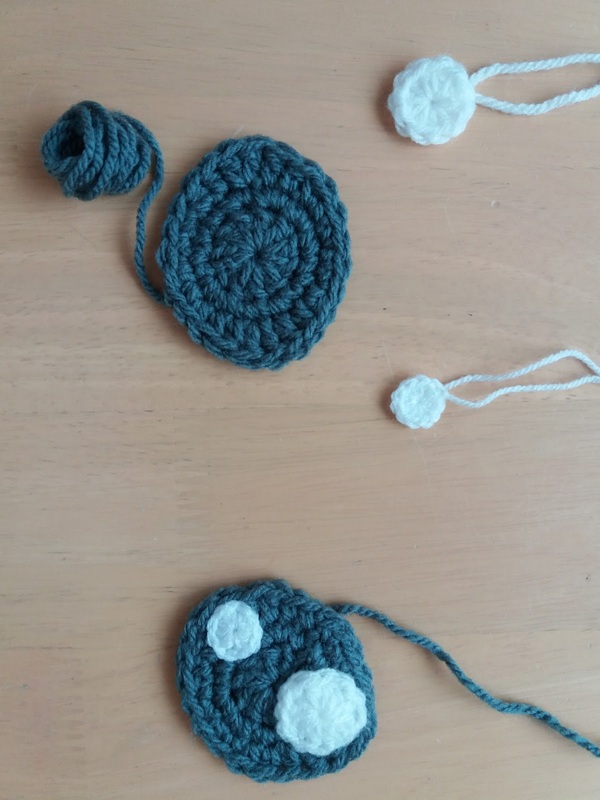 Use /2mm hook, start with MR. Ear: (in white) – make 2, work back and forth, turn on the end of each row. !!!!! That is where I ended the ears for my hat. If you like to make bigger ones, continue in the same way. Use E/4mm hook or any other size of the hook suitable for you. This first curl will give you guideline for the next ones. 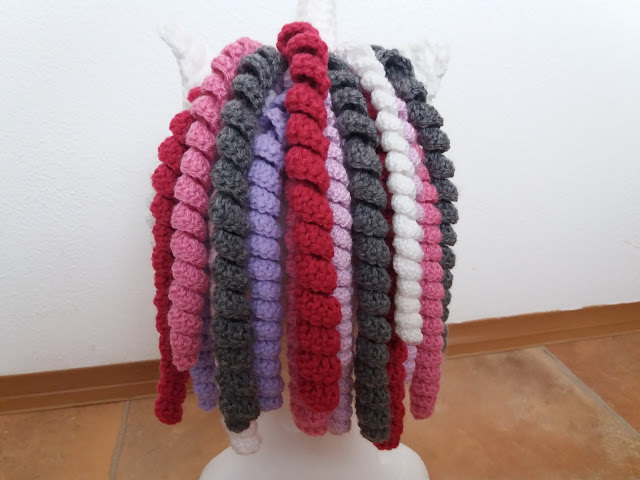 If you would like longer curls ch 40-60, for shorter curls 30-40, for fringe 15-20 and follow the instructions for 1st curl. Now you have to arrange and sew everything together as you can see on the pictures. It does take a little bit of time and patience, but it’s worth it. And last of all I went around all of the hat and the ear flaps with round of sc.